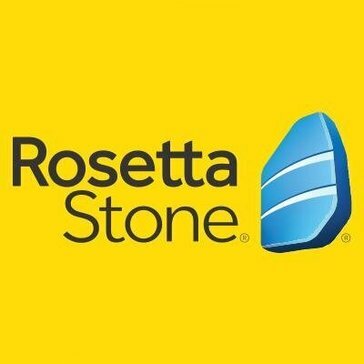 Do you work for Rosetta Stone? Learning about Rosetta Stone? We can help. I love how Rosetta stone completely immerses you in the language you are trying to learn. I used it to start learning Mandarin Chinese and this was crucial because any other program was mostly just reading, but Chinese has so many pronunciations that it was crucial to be speaking. It is really effective to constantly be using pictures for form associations, even if you aren't a very visual learning, because you're also speaking and listening. Using every sense like that ensure's the most effective learning possible. I didn't love how it never told me what the word actually meant. You could usually get the idea through the picture associations, but sometimes I would go to the internet to get the exact translation. They also don't ever really go over the actual grammar rules, you just have to learn them through practice and association. Its effective, especially for speaking, but I found when I needed to write, I had to go and learn the rules elsewhere. I learned Mandarin Chinese with Rosetta stone and now I am very fluent. I used other resources at the end, but it gave me a solid beginning, especially with speaking the different tones. "Useful though frustrating at times"
The use of images in the program lifts Rosetta Stone above the levels of other language learning programs, helping to create mental associations between images and words. Most useful for vocabulary and best paired with a conversational program. The coursework is highly repetitive, and you have to work through quite a bit of material that has little real-life applicability before reaching anything useful. You'll be memorizing the words for "child", "boy", "girl", "run", "milk", "water," etc. for many an hour before reaching anything conversational level. There is also a tendency for the program to run into errors that can cause you to lose your progress. Rosetta Stone is a very useful tool but you will want to pair it with another language learning tool to grasp the fundamentals of spoken conversation. Rosetta Stone not only assists with language learning but with general literary skills by allowing you to understand the similarities between different languages, and by creating a better understanding of the fundamental constructs of communication and language structure. "Honestly the Best Way to Learn a New Language"
As a Linguistics student in college, I know that a simple word exchange does not work in retaining a language which is why I love how Rosetta Stone teaches you. They provide new vocabulary in connection with an image or video on the action, which your brain then associates with that item and not with the word you already know. I wish the price were a bit lower, but honestly, with the level of customer support and the quality of the lessons that you receive it's definitely worth it! This is not a simple word for word translation and so you need to be prepared to learn more abstractly. Rosetta Stone gives you the concept or image along with the new words or phrases, which allows you to associate the new language in realistic terms. I needed to learn Spanish for my company in order to move up into a more managerial role. Not only has my concentration increased after taking Rosetta Stone, but also my overall perspective. Learning a new language teaches you how to think critically and problem solve efficiently. It puts students in the front seat of their own education. Traditional models are not student-centered and they often leave students behind or don't go fast enough. This allows students to complete the course at their level and in their own time. The usage reports allows the teacher to see how long the student is in the program for and what the student has completed. This makes the student accountable which is something that we typically don't have the ability to do in large classes where monitoring students can be a full-time job outside of teaching and all other duties. The learning curve was difficult for us. We spent an entire semester trying to work the kinks out and making sure that students, teachers, and administrators understood how the program worked and what it could and couldn't do. It has certainly benefited our bottom line because teachers don't need as much time to prep or grade which means that they can spend more time focusing on classroom instruction. This hasn't really impacted our bottom line besides the fact that we don't need to purchase numerous costly textbooks and workbooks each year. Rosetta Stone is best at helping you intuit what "sounds right" in a language rather than trying to learn through word for word translation. My students love the games. When trying to learn a non-Indo-European language, unless you have a large monitor, it's difficult to make out some of the symbols. Without a real human to interact with, if you aren't pronouncing something correctly, it's difficult to know what you are doing incorrectly or how to fix it. As a teacher, be sure to check out the other available Rosetta Stone resources such as the scope and sequence information, workbook, quizzes, tips from your rep and from other teachers on The Bridge website. As a teacher, I find Rosetta Stone really helps students with their pronunciation. They get immediate one-on-one feedback about the accuracy of their speech, and if they have questions about pronunciation, I can help them make adjustments. Students can learn at their own pace and I can track many facets of their progress and adapt instruction to areas where they need help. I am a Rosetta Stone user since 2011. I have learned and studied three different languages. Every time, it worked perfectly. I was able to speak basic daily language and sound quite conversational. You will have a chance to practice what you learn with a native speaker. Online studio conversations are very helpful. But sometimes the plug in stops working when you are in a conversation with the studio coach who is a native speaker of that particular language. If you are into different cultures and languages, Rosetta Stone is right for you! Due to the nature of my profession, I have travel a lot and pay business visits to various countries every year. It is very helpful to speak the local language when you travel to remote parts of the world. Rosetta Stone lessons and other online language learning tools are perfect for learning daily conversation in any language. I like the fact that Rosetta Stone connects new words with images to create a word/image association, however, it can be better by introducing more images for similar words to create a more profound and thorough association.Another great thing is its a learn at your own pace and schedule platform, making learning a new language much more convenient. Its could be a bit less costly and also, needs a companion book or guide to write down and retain what we learn. Usually, I need to write down words/sentences on a random notebook and tend to have disjointed notes that aren't very helpful in the long run. Having a companion book will be very convenient. RS is good if you are an absolute beginner but DONOT consider it as the one and only resource needed to learn a new language. Instead, doing the entire course as an intro to a language and then use other means (such as joining a Spanish/German learning club or professional academy) to continue your learning. I am using RS to learn Spanish and help connect student with Study/Co-op abroad opportunities through local firms/companies, particularly within Latin America. "Extremely satisfied and impressed user of Rosetta Stone"
Truly excellent program that is well designed with short (5-10 minute) lessons. Program focuses on integrating listening, speaking, reading and writing skills in the target language with no translations. Minor issue, but I have not figured out how one can pause the program when a lesson finishes before it jumps to the next lesson. Often I want to write down some of the vocabulary or grammar from a particular lesson at the end of it, but the program jumps to the next one. "Very Useful Language Tool with Few Drawbacks"
Rosetta Stone makes learning a new language casual & accessible. It's great that most of the lessons are only 5 or 10 minutes long, making it possible for me to squeeze one or two in between calls and meetings. I really wish that there was a pretest for Rosetta Stone. Although I recognize that this is an extremely useful tool, I am kind of bored with it since I am going through a lot of stuff I have already learned. My company has recently taken on a lot of accounts in other countries, and assistance is needed with customer service for these accounts. Rosetta Stone is allowing more people on our team to learn other languages, which really helps. "Great learning tool on the expensive side"
Comprehensive lessons with enough repetitions to cement concepts for many available languages. The Rosetta Stone app works great on IPad and iPhone as well, better than even the web app. The no translation, image to word association strategy worked well for me. Sometimes the repetitions make learning a tad bit too slow - can turn tedious and time-consuming. The price for the subscription is on the higher side if compared to other resources. The speech recognition sometimes does not work 100% accurately. If you have the time and $$, go for it. Can definitely be useful to give language exams if completed. Although I would recommend that one try out/ shop around for free resources first. I used Rosetta Stone to learn German for 6 months until I switched to a free resource. I used it while preparing for the German A1 level examination. Might consider buying the course with a one time fee in the future. I love the aspect of immersion versus rote memorization. I have found that when you immerse yourself in the language, you begin to gain a more real understanding of sentence structure and gain true fluency. I dislike the cost of the program and the fact that it isn't cloud based. I feel as though a cloud based system that allowed you to squeeze in practice during down time would be beneficial. Just do it, this is the best software on the market, and nothing is even close. If you have a need for this service, you should just purchase Rosetta Stone. A real benefit is being able to better interact with customers and coworkers based in the Spanish speaking markets. "High end, but a bit pricey language learning software"
As advertised, Rosetta Stone software creates an immersive language experience that uses methods through which you acquire your native tongue as a child. These include interactive lessons with speaking, listening, reading, and writing. In particular, the software relies on images/pictures and associative vocabulary to drill new vocabulary into the mind of the user. Aside from the high cost, which is a bit steep, the aspect of Rosetta Stone I disliked most was the slow speed and repetitive nature of the learning process. While I understand the necessity of repetation for learning, it often seems as though you are stuck doing the same (relatively easy) sentences over and over again. In other words, it's very time-consuming and I often feel I can't dedicate proper time to it due my busy schedule. Rosetta Stone is relatively high cost compared to some of the more freely available online apps and other material. Moreover, it is also rather time consuming and can be a bit tedious. Prepare to spend a lot of time with this software if your goal is to gain any measure of proficiency in a short time frame. I have attempted to use Rosetta Stone to learn French for my work overseas in sub-Saharan Africa. While I've learned some French with Rosetta Stone and other methods, my French remains quite basic because of the time consuming nature of the language learning process. This may be a knock against my busy lifestyle, rather than Rosetta Stone, but RS does seem to be slower and technologically streamlined than other available software, such as DuoLingo. I used Rosetta Stone for 4 months in 2012. I like the fact that CDs required minimal installation- I used them on a Netbook (which does not have much processing power). It was nice to be able to access it on my computer rather than on a website. I would consider purchasing a headset with a strong microphone so that the sounds are easily understood by the software. "Very good product for learn languages." I love that child way of learning , repeating hundreds of time the same sentences and words so you can learn it as you were a child learning your first language, i love that there is a lot of languages that you can learn and the format is the same for all the languages. Very easy to use, user friendly and with pretty images that makes your experience nice and funny. I am learning Japanese with this tool and it's pretty useful. Is not the only one tools that you will use for learning a language because is not that simple! haha but yet is a very good software to be used when you take also class from a private teacher or a course in the university. There are few things that can be better but the worst i think that is very expansive and at the end is not that useful , you cannot learn a language just by using rosetta stone, of course if you bought a book for example you can use it with rosetta stone and you will be ok , but with just rosetta stone i think will be too hard. For use rosetta stone you have to buy the languages so just check in the official web page what languages are available and have fun! Rosetta stone is a very good help when i want to learn a new language. And it's very helpful to learn a new language because it can help you with your personal and business life. "Rosetta Stone- Spanish Latin America"
The image to word association strategy works really well for easy memorization. I also liked the ability to have additional tutoring sessions with an actual Spanish speaker. The examples seemed realistic and useful for real-life interactions with Spanish speakers. Sometimes there is a lag between what you say and what the software "hears", so sometimes you falsely get something wrong. I also think there should be more languages available- especially tonal languages like Thai. Spend the time every day to do the lessons. If you let too much time pass between lessons, you will have to start over again, and that can be discouraging. Rosetta Stone is really helpful for quickly learning enough of a language to be conversational with clients. This has the potential to improve client relations, and develop a rapport. "Good for a beginner language learner"
I like how Rosetta Stone uses the "immersion approach" and just starts you off as if you had moved to a new country. It starts off with no instructions in your own language. It shows you various pictures and talks to you in the language you are trying to learn. I also like that you can visually see the native speakers audio pitch. As much as I like the immersion approach, at times it would be nice to be able to click a button to turn on some instruction in my own language. Sometimes it is difficult to know what the pictures are trying to depict without any instructions. It can also be confusing what a grammar point is trying to do without any instruction in my language. I would take a look at some of the other options before settling on Rosetta Stone. There are many free language learning tools out there and Rosetta Stone is a little bit expensive in my opinion. My wife and I are using this to learn Japanese. We are missionaries in Japan. It has helped us to be able to speak some basic Japanese. "I totally enjoy using this program"
Excellent software to learn a second language. Focuses on listening, speaking, reading and writing in that order. Lots of supplemental materials and excellent customer service to help you use the program. Not much to really dislike. It is not free but it is worth every dollar. I am using the software to review and strengthen my proficiency in Spanish. My organization also uses it to provide adult English language learners a tool to improve their English speaking skills. I dislike beginner level repeatable questions. Rosetta is very good time saver app. If you are going to a business trip to some other country that your don't know nothing off, or you don't know a word of that language, you can start beginner course, and in 3-4 days you will be ready for basic conversation in that language. For example, how much does it cost, when will the bus arrive, what time is it, introduction, greetings etc. I like that the layout is very defining, no chance to get confused or mistaken. As a new learner, its courses are very interactive with image and several media. Courses are not that long, which it is good for someone who is trying to learn the language in a fast pace. A great feature that helps during the courses are the repeat course option, which let you do the course again in case you didn't feel comfortable no the first try. Overall, this language learning system is a great tool for the purpose. I dislike the fact that for every language you need to pay a lot. Instead of creating a big pack of languages and selling them as a whole and not as a individual language. Also, the way you configure each language could be very difficult for someone who does not handle well a computer. Try it out first and see if this is right for you. You will learn a new language with this software, the software provides a step by step course which is almost the same as having a personalized teacher. It is easy to use. You can learn Spanish on anytime on your schedule, with any device, pc, mobile and iPad from anywhere in the world. They have a latest features and can start learning immediately. There is no downloads or installations required. So far, I like it and I have no problem using this language app. It is worth any penny. As freelance marketing, it helps me widen my horizon. Learning new languages added my talent, makes me more valuable in the market. I like how intuitive the program is. You can get started right away with no knowledge of the language. The microphone, listening settings are always a hassle to get right. For a resource for student, RS is a great choice. Getting my students to practice learning their new language regularly. Huge benefits; as they learn the language they get better at everything. "An innovative way to learn a new language"
Using Rosetta Stone I have purchased a few language courses for languages that I have wanted to study on my own, and I can say, at least for me, that while I am still not fluent I managed to retain a majority of the content that I learned. The program is well thought out and constantly reinforces the content to help the user adjust to both the required pronounciation and the context. You can constantly review and practice the language and with enough reinforcement you will see development in no time. First and foremost the product is very expensive which is always a bit of a downer. I had a Japanese teacher in college and I had learned Japanese on Rosetta Stone some months before, so I was so excited to test my pronounciation and conversation skills. Mr. Tatami (my teacher) was more than happy to be a conversation partner and just the sense of accomplishment was enough of a pat on the back. "Rosetta Stone is a great way to start learning a language"
Rosetta Stone is very interactive, and as a multiple language speaker, I find it one of the best ways to learn a new language, outside of actually immersing oneself in another country. Actually there is very little that I dislike about the program, aside from the cost! I think it is one of the best language learning software programs out there. Although it is pricey, it is worth it. Personally, I utilized it for my own language learning, as a supplement to actual class time. I think it is a fantastic way to learn a language, although it is difficult to fully learn a language with a computer program, Rosetta Stone is a great start. It's immersive and structured for your best learning. It's very simple and logical and helps you to build your language skills in an effective and efficient way. I think it's a great supplement to classes. I love taking Rosetta Stone before traveling somewhere. Few years ago I learned French with Rosetta Stone before taking a trip to Switzerland (the French speaking region). It's got a great, clean, modern interface. There are clear instructions, with games and challenges. It's fun and exciting method to learn a new language. It's also convenient way to learn because you can learn at your own time, compared to having a schedule to tightly follow. I learn this whenever I have a break or late at night after work when I have time to relax. This is why I think it's a great supplement to class. Sometimes I'm not sure it has the best teaching technique. It's not the cheapest learning tool at $10 to $26 per month. There are free learning tools out there, including free apps. The one thing about learning a language is you need to be able to practice speaking it with someone, which is something an app can hardly provide. Try the trial version before purchase. It helped me learn French much faster. It can help you learn your second or third language. "Fun way to Learn a new Language"
It's a fun way to start learning a new language and add to your personal and professional development. The visual cues based leaning is the best for beginners and make the learning fun rather than studying from a book. The course changes it's format about a year back, and it gets boring and tedious to learn using the new tools, as it feels like studying for a University exam. The program has fun activities like games and stories that help you reinforce what you have learned. Plus it helps you with learning new words, pronunciation, and retention. I wish there was a vocabulary list with each lesson. Sometimes it's hard to know that the meaning of some words are solely based on the picture provided. Rosetta Stone allows me to share language learning tools with my English Language Learners. It is also helping me to learn another language so that I can provide workshops to persons who speak other languages. I like how many visual aids are available through the program. They use a lot of descriptive images to help my students connect vocabulary words with the respective pictures. I use Rosetta Stone with my students to teach them Spanish. While the basis of the program is good, the timing needs a lot of work. When asked to repeat a word, you end up getting it wrong because you say it immediately and that will end up being before the beep. By the time you repeat the word again, you've already missed it. I work at a school, not a business so we're not really solving any problems. The biggest benefit with Rosetta Stone is that I can keep track of how each kid is doing. It tracks everything from their speed to what they struggle with most. Rosetta Stone really focuses on pronunciation. It won’t let a user continue to the next step unless the speech is near perfect. The directions are not always clear, and this can confuse and frustrate younger students. Make sure you have comfortable and compatible headphones. It allows a user to quickly pick up the basics of a language from the comfort of their computer, and it emphasizes correct pronunciation. "A good tool to learn a new language and meet people!" I used livemocha to learn hrvatski. I had a good experience, met a lot of people that were always willing to help. One very positive aspect about this tool is that the learning modules are quite short, you don't have to spend hours to complete each of them, they are well structured. I was able to learn at least the basics, vocabulary, pronouns, adverbs, and so on. Every time you complete a Writting section, it is shared with "language teachers" who review what you wrote and rate it, providing feedback about your speech. Even though this site is not available anymore, it has been acquired by hellolingo conserving the methodology. I was so engaged with the tool that I added myself as expert of my native language to help other people in their learning. One of the things I really disliked about this tool was that many people were using it to send aggresive comments or sexual content messages. As I am an adult I am able to distinguish them and discard them, but if you think that children can also use the site for learning purposes, it is an aspect to really worry about. Moderate somehow messages sent by users. Use some kind of software to don't allow sending bad words or sexual content messages. I was able to quickly learn other language not being alone, you always have someone that knows the language you are learning and is willing to help, so you don't feel alone during the learning process. "Learning Brazilian Portuguese was a breeze"
My Rosetta stone subscription helped me learn to actually speak Brazilian Portuguese conversationally, not useless rote memorization. Both the recorded lessons and the access to live classroom sessions truly made a large difference. There wasn't much I didn't like. Sometimes the lessons felt repetitive. The voice recognition didn't always do a great job of capturing what I said. Sometimes things felt a little slow. I wish there was a way to better customize what kinds of lessons come when. You get what you pay for. Rosetta stone isn't cheap, but it's worth every penny. In depth lessons, access to native speakers and live classroom. Recorded lessons that are well designed, and incredibly high quality voice recognition so you can be sure you are speaking the language correctly. I needed to be understood by Brazilian Portuguese Speakers. Rosetta Stone has allowed me to do that in a way that makes me speak like and understand real people, not robots. "If you want to learn a language, use Rosetta Stone." Rosetta Stone now offers subscription based learning as well as a way to download to your computer.. It teaches you language using visual stimulation, words spoken, and of course text. I have no complaints about the program and it is very user-friendly. I have been using Rosetta Stone for about 5 months now. My knowledge and understanding of the Spanish language has grown so much do to this wonderful program. Rosetta Stone shows you pictures and you match up to what is being said. This is a great way for me to learn as I am a visual learner. They also speak it audibly which is great to practice saying the words. By learning Spanish or any language on Rosetta stone, one can be better equipped to handle foreign clientele and thus make a stronger impact on your company performance. The ease of the program and learning basic words to help interact with fellow employees, enough to "get by". Sometimes it hard to make out full words, symbols, etc with a smaller screen. The cost is a little high too. Sometimes can experience slow speeds and downloads, not sure if that's the program or my system. This program brings the learner back to the fundamentals of the language as if they previously knew no language at all. There were no direct word references to my native language which helped in developing the foundation of the new language I was learning(in this case, Mandarin). Different languages don't always correspond the same when it comes to sentence structure and I was able to put small sentences together after just a few hours of lessons thanks to the techniques of Rosetta Stone. Super effective and Highly Recommended! I had to enable or disable full screen mode in order to change to the next chapter or remain on that lesson if I felt I wanted to go over it one more time. I would like to see the transition after a lesson is completed happen a little faster. Having said this ^ I had to nit pick to find a dislike because this truly is a great program. I have made several trips to China following the use of this program. I can now travel, conduct business and socialize in Mandarin thanks to this program. Two thumbs up, no doubt. "Rosetta Stone for Working Abroad"
I like the access of coursework at anytime that I wanted to continue. This was a great program to use on my own time while preparing for my trip abroad. I found it a bit difficult to pick up. Maybe I just have more difficulty with French than other languages. I only used this particular program for learning French before working abroad. I found it extremely difficult. It is also definitely on the pricier side and my employer didn't cover the cost. Was there a return on investment for me? Probably not which a little disheartening. But hey, it helped prepare me for a fantastic trip abroad! I used this program before studying abroad. I wanted to be fully immersed in the culture and be able to communicate in their language. I used Rosetta Stone and found it pretty difficult, however maybe French is just a difficult language? Hard to say. I would use this again but with less expectations. Rosetta Stone's lessons are engineered to help you effectively learn a language from the bottom up. It requires you to use the words or concepts you're learning quickly so they stick and become habits, not just a regurgitation of information. Allowing me to learn a language at my own pace has been incredibly convenient, and I am more motivated to continue using it. I feel like the interface can be clunky at times, but this is probably just a personal preference. Not the cheapest software for language learning. Support has been really good for this program, don't hesitate to reach out to them for support if any issues arise. I am using this program to further my learning and be a more valuable asset to my current employer or any future employers. I'm hoping that if the opportunity for international contact occurs, I will be prepared. "It's been a great experience so far." The people assigned to me were really helpful and stayed in touch. I find that the administrators website a little confusing. I don't have an IT background or anything, so there was a learning curve for me. It's a great program. I like that is is immersion based. The school was struggling to find a Spanish teacher, so they turned to Rosetta Stone for the students. I think this is a great solution for language education. "Most Natural Way to Learn a Language"
The best thing about Rosetta Stone is the learning techniques used. You quite literally start from scratch so that you can learn your chosen language no matter what your native tongue. English was only used in extreme moderation- much more so pictures, sounds, and verbal ques. It's a different way to learn, but definitely productive. At times, the things I liked best (the fact that they use very many images and not anything in native tongue) were also the things I found most frustrating. For some of the images, I didn't understand what they were trying to depict. It would have been nice to have an English cheat sheet. If you're considering Rosetta Stone, I'd consider trying some free online language learning resources first. While we had a positive experience, it can be quite costly depending on the depth of language knowledge you're looking to achieve. The main problem we were solving when implementing this software use with our customer service experts was to reach a larger clientele by being able to understand and communicate (at least basically) in another language. In our case, Spanish. We used this software to train both myself and 2 other agents. "Excellent for learning a language!" The lessons immerse you in the language. The majority of the early lessons take the form of seeing a picture and saying the word that describes it or reading a word or phrase and matching it with a picture. Since it is all completely in the language you're trying to learn (Arabic in my case) it makes you start thinking in that language rather quickly. There is little to no explanation of the grammar in English. As I mentioned in what I like best, Rosetta Stone's teaching style is very immersive and it is almost completely the language you're trying to learn from Lesson 1. I just wish they had an option to turn on more detailed English explanations of things. I have not, as yet, applied this to any business ventures, but my grasp of the Arabic language has greatly increased. Once I become fluent in the language I would easily be able to gain employment just on the basis of my grasp of the language. "Rosetta Stone makes learning a new language fun!" Rosetta Stone jumps right in - full immersion into the new language; learning words and sentence structure quickly. Their reporting isn't really set up for a school administrator to gather progress easily. We're a school, so it's an open door for studetns to explore a new language. I initially purchased only Level 1 of 5 (of Italian) due to my unfamiliarity with the software but within an hour the quality of instruction and ease of learning was apparent. It became an enjoyable process of adding more and more words and phrases to my vocabulary. The software is intuitive and the learning methodology is straightforward – starting with common situations and progressing to other social and business scenarios. You progress as far as you want when you practice, and you’re prompted to review past lessons each time you come back for more training. The result is not only proficiency gained but high language retention over time. After completing Level 1, was so pleased that I purchased levels 2 through 5. Having purchased Rosetta Stone for Mandarin as well, I can say that the process is essentially the same for both languages. You’re presented with a picture of an item, a situation a person, etc, and asked a question or given options to indicate what the picture is illustrating. Speaking recognition is fully integrated into the lessons so you practice your pronunciation as you go. The software tracks your answers and progress and you repeat lessons until a passing score is reached. At your next session, you’re prompted to review recently-completed lessons to solidify retention and to point out what you have or haven’t learned. At the end of lesson sets and overall levels, you’re given final tests and full on situations to walk through. After completing the Italian language course lessons, I purchased the Mandarin language courses. Even in the beginning lessons, I would have liked to see more practices and lessons related to writing the characters used in Mandarin - not just recognizing them - which I feel would have helped in my retention. For the Mandarin pronunciation lessons, I frequently felt that the pronunciation modules - even on a more lenient setting - were sometimes inaccurate. Sometimes I could pronounce things incorrectly and the software would accept it and other times the software would not accept my pronunciation even when fairly accurate. Consider the cost of actual language classes in an accredited school to the cost of Rosetta Stone. In my opinion (after 4 years of high school Spanish and 3 semesters of college Spanish before one year studying Spanish in Mexico) you can learn just as much through Rosetta Stone, in less time, at your own pace, and for less cost, than you can in a classroom. If you doubt your ability to learn a language either recreationally or seriously, know that the software and course lessons seem to have been engineered very responsibly because you not only go through each lesson, but review recently-passed lessons to enhance retention prior to starting new lessons. By the time you get to the third of the 5 Levels, you will definitely see evidence of your learning. You should discipline yourself to spend 30 minutes per day learning (more if you have the time and inclination). If you put in the time regularly, you will learn. In my case, my purchases were purely based on an interest in learning languages and being able to understand and communicate with non-English speakers. Based on my experience in learning Spanish (on my own in Mexico during college) vs Italian using Rosetta Stone, my feeling/conclusion was that I wished there had been such software for me during my high school and college years because it gave me a working knowledge and comfort level with the language that I wished I had during my first semester studying in Mexico. Speaking for my Italian studies with Rosetta Stone, even 4 years after completing the courses, I can still properly pronounce Italian words, read and compose basic to intermediate phrases and sentences and can figure out new words and concepts that I didn't see in the lessons. In short: not only the words and phrases but an enhanced awareness. "Excellent product,mneeding a few improvements "
--The online Studio sessions. The ability to have either a group or a private lesson. --The way that the lessons approach the same material from several angles. --The price of the group and private sessions of Studio. The price seems high. And, ideally, I would like to be able ti have an online subscription for private sessions only, without having to sign up for group sessions as well. Be sure of what y are buying...the online subscription versus the download. Commit to doing lessons every day for an hour. This is how you will advance. The benefits I have realized from learning Italian via Rosetta Stone are too numerous to completely cover here. First, the interaction with Italians made possible by being able to speak is very satisfying and beneficial. Second, in my small business, being able to speak to potential clients who are Italian is surprising to them and beneficial to us both. And, third, when traveling to Italy for pleasure, it is just plain polite to speak the language. The business problems I am solving are not exactly problems. My Italian is allowing me to go one step farther. "Very intuitive way to learn a new language"
The way that each unit it split into sub-units and sections, makes it easier to time manage, and make personal targets of when to progress to a new level. For example, every week, I aim to learn at least 90 minutes of new material. The fact that each section has an estimated time to complete, also makes it easier to budget which sections to learn throughout the week. Sometimes it can take a minute or two, when trying to load up a connection between a headset and the laptop, to get the microphone to work. This may just be a problem with my own laptop however, Or it could be the choice of microphone I am using. Even if you lead a busy lifestyle, make goals and timeframes to set yourself, so that you keep on learning. This is easier said than done, however 10 to 15 minutes per day could be managed before work or in the lunch hour. This has helped negotiations with Chinese suppliers, as I work in a purchasing role, and am learning Mandarin via Rosetta Stone. On one occasion, a significant saving was made with a company, as I typed in Pinyin, which was so respected by a supplier, that they offered a huge discount based on this!